Hi, welcome back to Literacy Musing Mondays: the place for great resources on writing, blogging, reading, books, learning, and literacy. We continue with great guest hosts and posts. 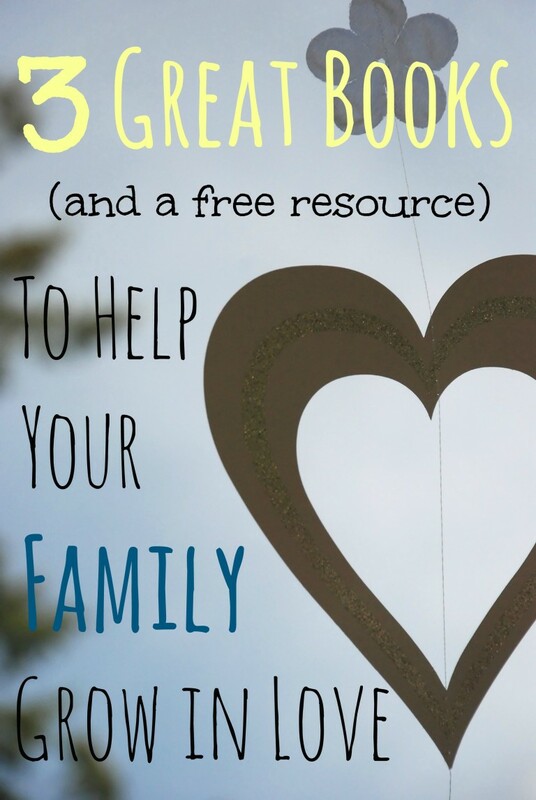 Today, we hear from Joanna May Chee who writes about great resources to help cultivate love in your family. I hope you will enjoy it. That’s a different kind of loving. It’s loving by intention, not just by default. Loving by default is good. It’s real. It’s everyday life. We need to do this. But just how special is loving by intention? You’ll know from the precious times when you’ve been the recipient. There are some great books out there on loving our husbands, and on loving our kids. The best ones I know on how to love with intention are the books in The 5 Love Languages series by Gary Chapman. The premise of this series is that everyone receives love in different ways, whether that be words of affirmation, physical touch, quality time, gifts or acts of service. The books identify these 5 Love Languages, and then give great ideas on how to intentionally love in each of these ways. The 5 Love Languages of Children includes a Love Language Mystery Game to help identify your child’s primary love language, plus lots of ideas to put this loving into action. Apart from anything else, it’s just a wonderful parenting book! The 5 Love Languages of Teenagers: The Secret to Loving Teens Effectively . I’ve just started reading this book, and am amazed at the insights and ideas I’m gaining. Loving teens is a whole new ball-game. I’m really excited to read more. Well, if you’re like me, reading one of these books is the easy part, the putting into action is more difficult! So, let me also introduce you to a new resource I’ve written: The Cultivate Love Challenge: 50+ Ideas and Resources to Help Your Family Grow in Love. a FREE resource to strengthen your marriage, deepen your relationship with your kids, and help your children grow in friendship. 30 pages of great ideas, AND the planners and printables you need to put them into action. a community of mums and moms, encouraging each other to be intentional in love. something I’m doing with my own family, and will be posting updates on each month. I’m excited about it. And I’d love for you to join me! You can click here to find out more, and get ‘The Cultivate Love Challenge’ for FREE. Let’s do this together! Let’s encourage our families to be intentional in love all year round (not just on Valentine’s Day). Joanna May Chee is from the UK, but currently lives in Turkey with her family. She has four lovely children, aged 17, 16, 13 and 11. Joanna blogs at Mums.Kids.Jesus where she shares ideas, inspiration and encouragement for mums and moms! Her post 110 Great Books for Boys was previously featured as Leslie’s favourite post on Literacy Musing Mondays. You can follow Joanna on Facebook and Pinterest. Now on to our #LMMLinkup! The first order of business is to announce the winner of our commenting contest: Beth Strickenburg. Beth commented on 70 of our blog posts this week! Beth is a homeschool mom, and can often be found under a tree reading aloud to her son. She has a masters in French Literature, and loves all things French and literary. Her blog features reviews of books for all ages, including a number of book lists for homeschoolers. 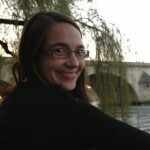 She blogs at: Pages and Margins. I hope everyone will visit her this week and leave great comments! You can also follow her on her Facebook page. In this post Donna discusses the book: Because He Loves Me: How Christ Transforms Our Daily Life by Elyse Fitzpatrick. She gets to the heart of the book by quoting: “It’s essential for us to think about God’s love today because it is only his love that can grant us the joy that will strengthen our hearts.” This review is a fascinating read because it goes beyond a “book review” and points out truths for us to ponder and savor. I hope you will check it out. Plus, Donna also has a great linkup each week called Mondays @ Soul Survival. It is a great place to meet new bloggers and build your readership. I highly recommend it. What can I say? I love chocolate and this post eased my cravings (well more like sent them into overdrive. 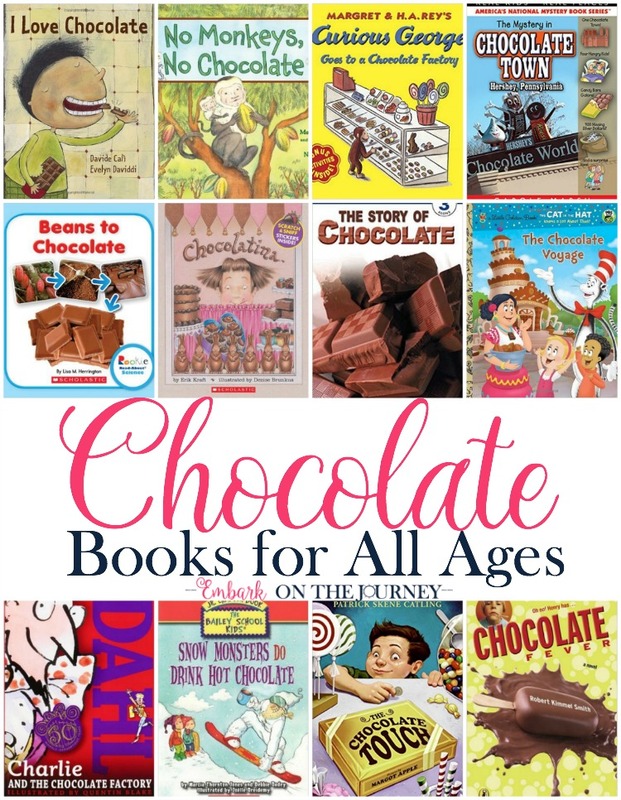 LOL) I never knew so many fun books existed about the love of chocolate. This post is a fun, not miss. Plus, Tara also hosts another great linkup on Wednesdays for book lovers called : What to Read Wednesdays. If you write about children’s literature or other family-friendly post, this is a great linkup to join. Thanks for linking up at Thankful Thursday. Loving intentionally is a great way to be focused on what we are grateful for in our relationships and to show how grateful we are too. My best friend lives by the love languages book. So cool to see you featuring them here! It’s so easy to just love by default, isn’t it? The intentional efforts carry so much weight and are so powerful! Thank you for the great reminder! And thank you for hosting this link-up each week! This is great information and what a wonderful linkup. Thank you for linking up at Open Mic Monday at Cisneros Cafe. Don’t forget to leave an encouraging comment for the link before yours. Have a blessed week! Cultivating love is so important. We need to do this within ourselves as well as outside of ourselves. Both of my sons have gone through Gary Chapman’s book, Five Love Languages, since one just got married this past December and the other one gets married in September of this year. The resource from Joanna sounds thorough and practical. Great thoughts today. It’s very important to be loving all the time. Just hugging someone and saying thank you without having an immediate reason to can bring on so many emotions. There are many ways to show love and affection out there. Thanks for hosting! I love the Five Love Languages! Such a great reminder for loving our family and friends in a way that they can fully embrace. You welcome. I am glad you found the information useful and inspirational. I love the 5 love languages books :)! Thanks for letting me know about the teenager one, I hadn’t seen that one before. The love languages books are awesome! Jenny and I are having some terrific conversations about our love languages, as well as trying to figure out the unique love languages of our kiddos. Thanks for hosing another great linkup too! Mary, what a sweet surprise to see my post featured from last week! Thank you so much! And thanks for hosting again this week. Blessings!